Why are the nose and feet confusing body parts? Because the Nose runs and the feet smell! 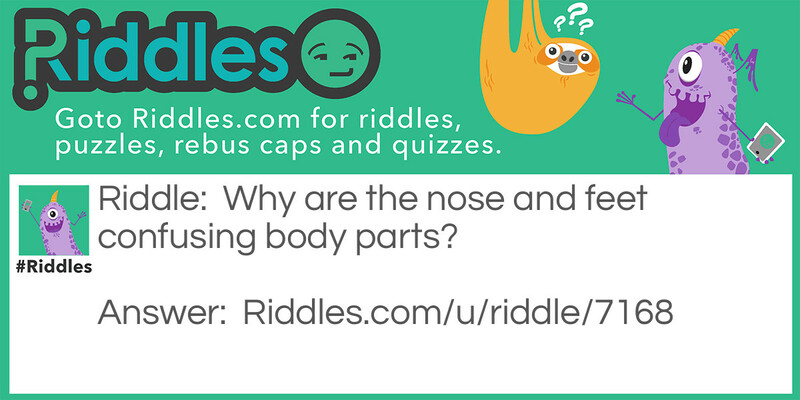 No-Body Nose Riddle Meme with riddle and answer page link.